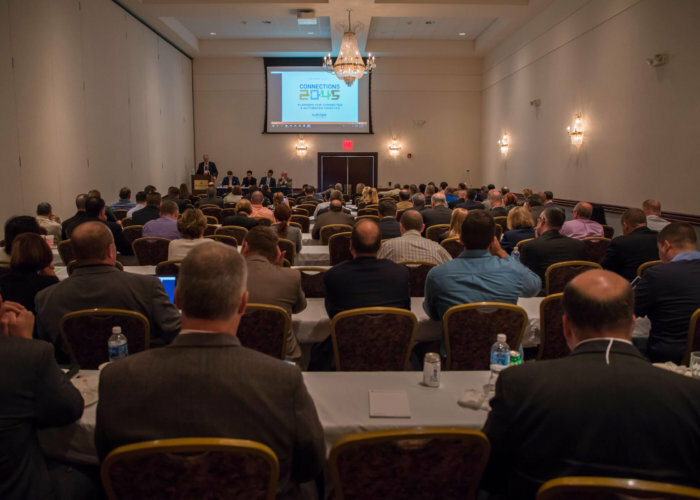 The 2017 Pennsylvania Automated Vehicle Summit was held Sept. 11-12 in State College, Pa.
How Much Will It Cost & Who Will Pay? Fred Bergstresser Is the Government Account Manager for Royal Truck and Equipment, Inc. Fred's primary project is management and oversight of the Autonomous TMA development and commercialization project. 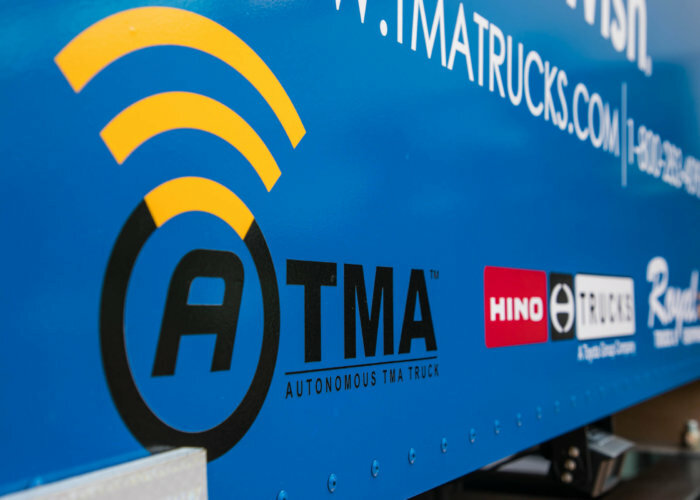 He also leads Royal's Texas A&M TTI study to measure the effectiveness of a mobile radar board (on a TMA Truck) to reduce highway traffic speed in workzones. Fred also serves on ATSSA's Innovation Council and Manufacturers and Suppliers Committee. (American Traffic Safety Services Association). Fred oversees all government relations and government procurement for Royal Truck & Equipment. Eric Boerer is the Advocacy Director of Bike Pittsburgh, a 15-year old bicycle and pedestrian advocacy organization. 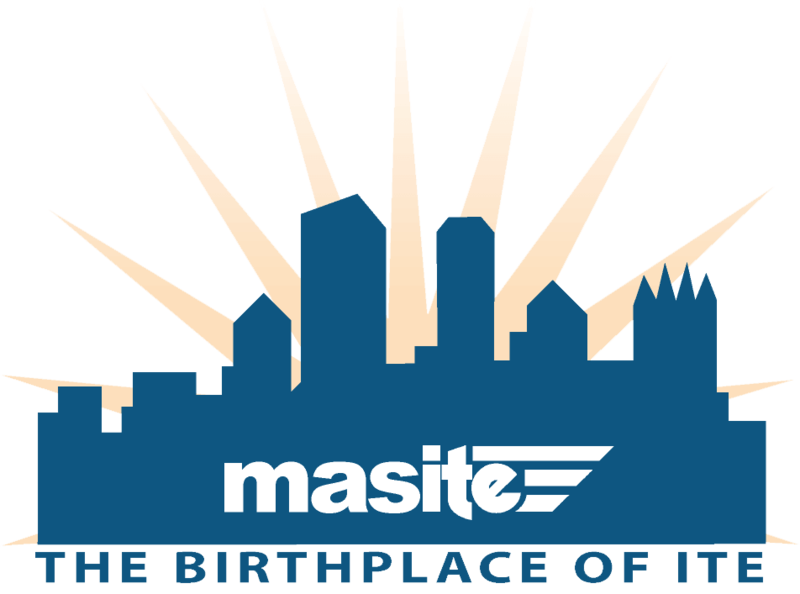 Having worked for the organization since 2005, it has grown to a staff of nine, with over 3,000 members in the Pittsburgh area. His work in advocacy helped usher in Pittsburgh's first bike lanes, a Complete Streets Policy, and making biking and walking issues a priority within the City. As Pittsburgh is one of the first US cities testing Autonomous Vehicle technology on public streets, BikePGH felt it necessary to create the first survey of bicyclists and how they feel about sharing the road with AVs. Stephen Boyd is co-founder and vice president of external affairs for Peloton Technology, a Silicon Valley-based connected and automated vehicle technology company that is bringing innovations in safety and efficiency to the freight transportation industry. In this role, he leads public affairs, government relations, and market development for the company. 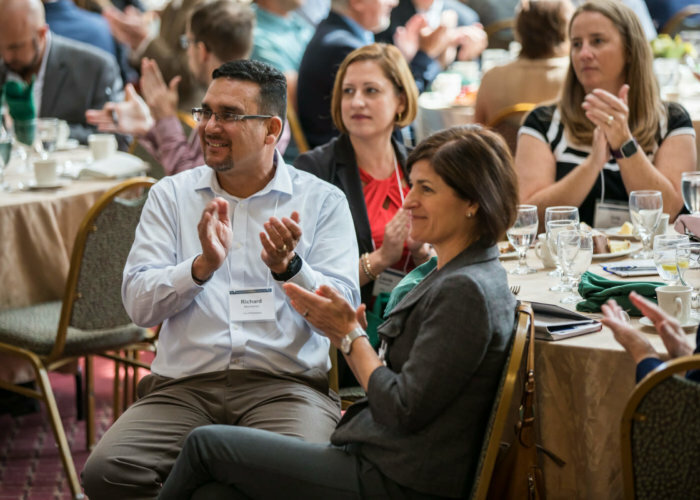 For the last decade, Steve has worked with leading edge transportation and energy enterprises and advocated for policy change and market innovation to accelerate progress in these sectors. Previously he has served as an Assistant Press Secretary in the White House, a Producer at the PBS NewsHour, and held a variety of roles with technology companies, federal agencies, political campaigns, and public policy initiatives. Steve holds an Environmental Science degree from Pennsylvania State University with minors in Economics and Political Science and studied international business at the University of Manchester (UK). Lee Branstetter is a professor of economics and public policy at Carnegie Mellon University and a nonresident senior fellow at the Peterson Institute for International Economics. Branstetter is also a research associate of the National Bureau of Economic Research. He served as a Senior Economist at the Council of Economic Advisers in 2011-2012. Before moving to Carnegie Mellon, Branstetter was the Daniel Stanton Associate Professor of Business at Columbia Business School, where he directed the International Business Program. Branstetter also served as an Associate Editor of the Journal of International Economics from 2003-2011. Branstetter received his PhD in economics from Harvard University in 1996 and his BA from Northwestern University in 1991. Steve Buckley currently serves as the northeast regional manager for WSP's Planning, Environment and Traffic practices. He is a licensed engineer and planner, and has over 20 years of experience in many aspects of the transportation industry. Buckley most recently served as general manager of transportation for the City of Toronto. He earned master's degrees in transportation and city planning from the University of California - Berkeley and a bachelor's degree in civil engineering from Syracuse University. He currently serves as chairman of the Transportation Research Board's Committee on Transportation Issues in Major Cities, serves on the board of ITS Canada and the University of Toronto Transportation Research Institute. Buckley is also a lecturer in the City & Regional Planning program at the University of Pennsylvania. Stan Caldwell is the executive director of Traffic21 Institute and the T-SET University Transportation Center. In 2014, Stan was appointed Adjunct Professor of Transportation and Public Policy at Carnegie Mellon University, where he teaches courses and advises student projects. Additionally, Stan serves as the Director of State Relations for CMU's office of Government Affairs. Before joining CMU, Stan served as the Executive Director to U.S. Senator Arlen Specter's Pittsburgh office, in addition to serving for many other Pennsylvania elected officials. Stan received his Master of Public Policy and Management degree from the University of Pittsburgh. Dr. Pam Carter has over 30 years of experience in higher education and industry. Pam received her MBA from the University of Maryland, her Ph.D. in Business Administration from Florida State University, and she holds several industry certifications including Senior Professional in Human Resources (SPHR), Certified Information Systems Auditor (CISA), and Project Management Professional (PMP). Pam currently serves as Dean of the Business & Technology Division at Community College of Philadelphia, where she thoroughly enjoys working with a diverse range of students. 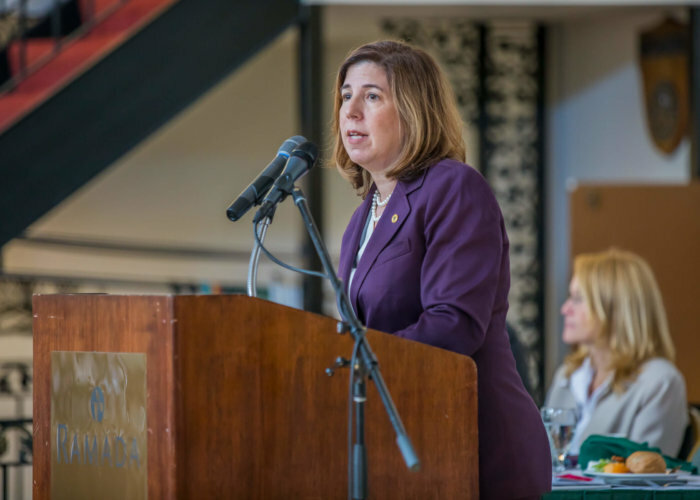 Eileen Cipriani is deputy secretary for workforce development at the Pennsylvania Department of Labor & Industry, where she oversees the 23 local workforce areas that make up the commonwealth workforce system. 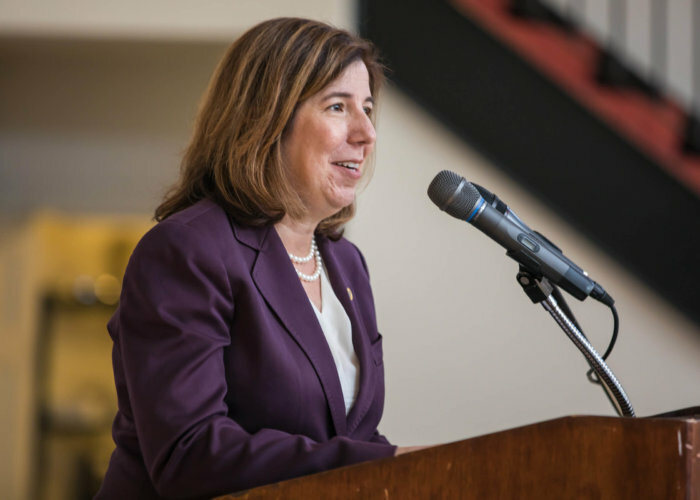 She is responsible for the Center for Workforce Information and Analysis, the office for labor market information, the PA State Workforce Development Board, and the commonwealth's Apprenticeship Training Office. She has a Bachelor of Science from Bloomsburg University and a master's in organizational management from Misericordia University. Sheri Collins is the Deputy Secretary for the Office of Technology & Innovation at the Pennsylvania Department of Community and Economic Development. She is committed to supporting Pennsylvania's innovators and entrepreneurs, and she works directly with Pennsylvania's business community, its colleges & universities and strategic partners such as the Ben Franklin Technology Partners, Pennsylvania's three Life Science Greenhouses and the Partnerships for Regional Economic Performance to ensure that our commonwealth is competitive in a global economy. 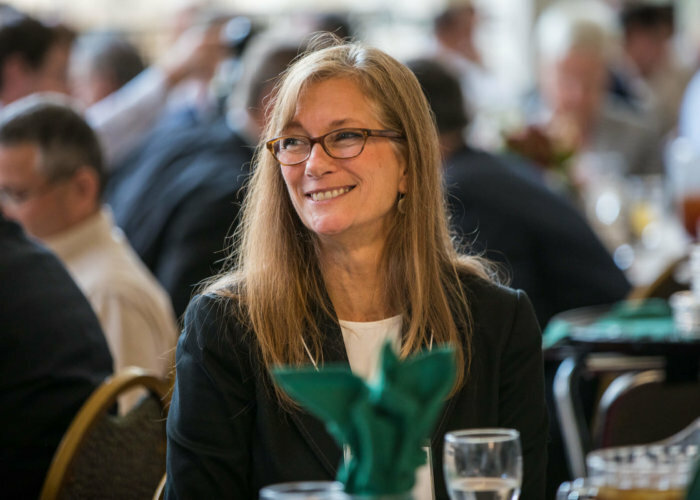 A 30-year veteran of the commonwealth, Sheri is passionate about developing and implementing programs that support Pennsylvania's entrepreneurial community while leveraging and aligning the resources of partners and programs to advance Pennsylvania's position as a leader. Dennis M. Davin was appointed to serve as Secretary of the Department of Community and Economic Development in January 2015 by Governor Tom Wolf. Prior to his appointment, Secretary Davin served as Director of the Allegheny County Economic Development since March 2004. During his time at the Allegheny County Economic Development, Secretary Davin managed funding from local, state and federal resources to implement economic development activities such as: site development, new job creation initiatives, community development and affordable housing for approximately 1.25 million citizens in 130 municipalities. He also served as Director of the Allegheny County Redevelopment Authority and Executive Director of the Industrial Development Authority, Hospital Development Authority, Higher Education Building Authority and Residential Finance Authority. Dr. Eric T. Donnell is the director of the Thomas D. Larson Pennsylvania Transportation Institute, and a professor of civil engineering at Penn State. He is chairman of the TRB Geometric Design Committee and the PennDOT-FHWA Safety Technical Advisory Group. Donnell has 18 years of research and teaching experience related to traffic safety, speed management, and highway design. He has been principal investigator on research valued at more than $6 million for a variety of federal, state, and local transportation agencies. Donnell is a past leadership fellow of the ENO Foundation. Courtney Ehrlichman is Deputy Executive Director of Traffic21. Courtney was previously a researcher and Special Faculty at CMU, where she spun out the Flight School Fellowship in 2010, which she still directs today. She has also designed and/or managed projects at many non-profit organizations including the Friendship Development Associates, cityLAB, Waffle Shop, Conflict Kitchen, and Red Star Ironworks. Overall, Ms. Ehrlichman has personally raised over $2.5 million in federal, state, and private funds to implement the projects she has designed and managed. She holds a Masters of Public Management from the Heinz College at Carnegie Mellon University and a bachelor's degree in Urban Planning and Architectural Studies from the University of Pittsburgh. Jackie Erickson is a robotics-focused public relations and government affairs consultant based in Pittsburgh. After a decade of public policy experience, including service as southwestern Pennsylvania regional director for U.S. Sen. Robert P. Casey Jr., Erickson chose to follow her passion for robotics, serving first as director of communications for Astrobotic Technology then founding a boutique consulting firm dedicated to telling the stories and advocating for the Pittsburgh robotics community. 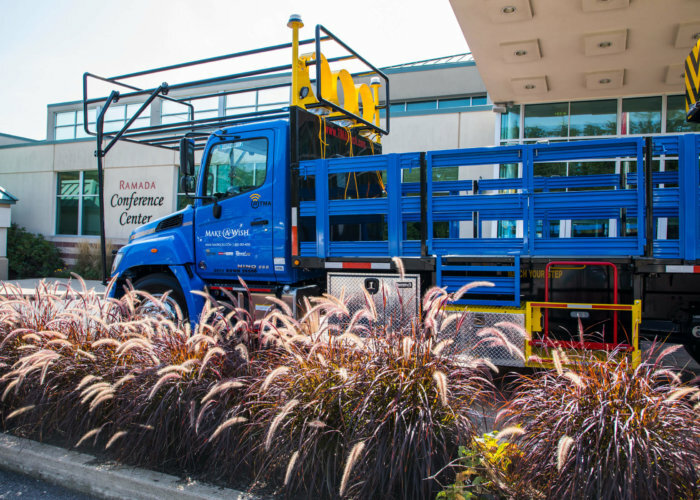 Erickson's clients span sectors such as defense, logistics, health care, agriculture, and transportation. She is the Pittsburgh robotics cluster representative for the Robotics Industry Association and is a founding member of the Pittsburgh Robotics Network. Rich Farr is the Executive Director of rabbittransit, a regional public transportation provider serving the residents of ten Central Pennsylvania counties and providing over 2.5 million trips per year. Farr's leadership has resulted in several initiatives, including piloting paratransit software and the Find My Ride PA project for the Commonwealth. 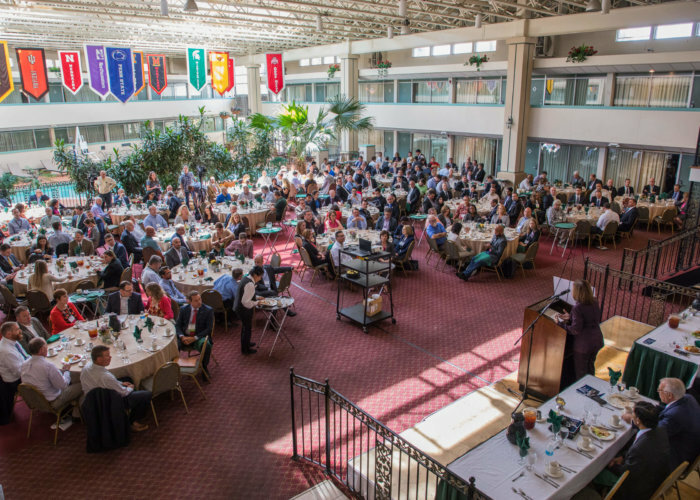 Farr has served as Chairman of the Pennsylvania Public Transportation Association, the Susquehanna Regional Transportation Partnership, York County MPO, and is the current Chairman of the Adams County MPO. Brett Fusco is the Manager of Long-Range Planning at the Delaware Valley Regional Planning Commission. He's conducted numerous regional what-if scenario analyses, worked on funding and financial planning issues, asset management, and written a variety of key policy papers such as Networking Transportation. He was instrumental in forming the Futures Group, an interdisciplinary working stakeholder expert group that analyzes how change is reshaping Greater Philadelphia. He holds a B.A. in Mathematics from Wichita State University and Masters in City and Regional Planning from the University of Pennsylvania. Sheila J. Gombita is the Executive Director of the Washington County Transportation Authority (Freedom Transit), a position she's held since 2001. She is responsible for managing and directing the public transit agency, providing approximately 300,000 trips per year with an operating budget of $6.6 million. Ms. Gombita is a Certified Community Transit Manager and holds a Bachelor's Degree in Psychology from Edinboro University of Pennsylvania. Ms. Gombita was the first female elected to Chair the Pennsylvania Public Transportation Association Board of Dirctors, and has served on the board since 2010. Alex Graziani, AICP, is the Township Secretary / Manager of Penn Township Westmoreland County PA. Previously he was the city manager of Latrobe, PA and or the previous ten years he served as executive director of Smart Growth Partnership of Westmoreland County, which supports sustainable community development. Throughout his career, Alex has helped numerous communities begin to address community planning and make good long-term decisions. In 2004, he was appointed by Governor Rendell to serve on the Pennsylvania State Planning Board, where he serves as Chair. He received a BA from Westminster College, Pennsylvania and his Masters of Public Policy and Management from the University of Pittsburgh. Art Guzzetti serves as Vice President of Policy for the American Public Transportation Association (APTA). Mr. Guzzetti is responsible for APTA's extensive policy development and research agenda, and for advancing policies favorable to public transportation with Congress, the Administration, state and local governments, with grass-roots and stakeholder organizations, and with public policy think tanks. A key current focus is to integrate and leverage transit networks with new and emerging public and private mobility services, including microtransit, transportation network companies, automated vehicles and bicycles. Prior to coming to Washington in June 1997, Mr. Guzzetti had 16 years of management experience with two of the nation's leading public transportation systems: New Jersey Transit, and the Port Authority of Allegheny County. Mr. Guzzetti has a Political Science degree from Edinboro State University, and a Master of Public Administration Degree from the University of Pittsburgh. Professor Andrew J. Hacker is the Cybersecurity Expert in Residence at Harrisburg University and Founder and CEO of MistIQ Technologies. At Harrisburg University, he is helping to further the University's position as a world class institution in Cybersecurity. As CEO of MistIQ Technologies, Mr. Hacker is building an innovative artificial intelligence technology called Smart Data that will securely provide predictive pattern recognition and analytics in real time data. Mr. Hacker is the former Deputy Chief Information Security Officer for the Commonwealth of Pennsylvania, where he played a major role in creating enterprise security strategies, standards and policies, enhancing application security, and was responsible for risk management and compliance for the commonwealth. 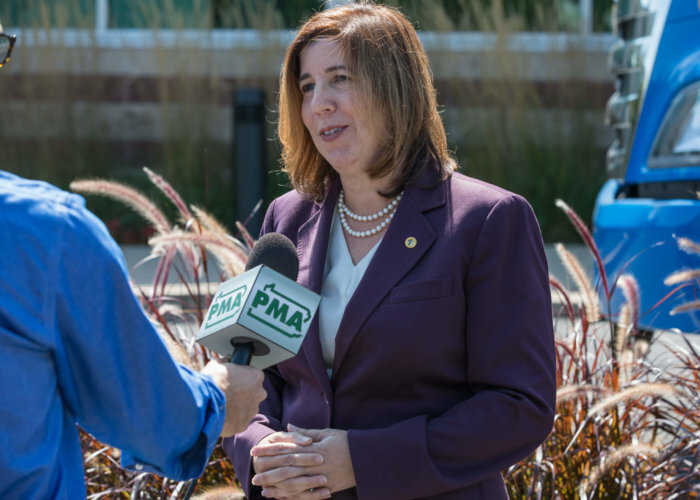 Patricia (Trish) Hendren is the Executive Director of the I-95 Corridor Coalition, a multi-state, multi-modal organization dedicated to improving transportation from Maine to Florida. She has spent her career working with State DOTs, MPOs and transit agencies to turn data into useful information, implement data-based decision making, and demonstrate the value of transportation investments. Trish has been actively involved in TRB chairing or serving on committees, research panels and conference planning efforts. Dr. Hendren's contributions to the field and focus on mentoring were recognized in her selection as the 2014 WTS -DC Chapter Woman of the Year. Trish holds a Ph.D in Transportation Technology and Policy and a Master's Degree in Ag Econ, both from the UC Davis, and a B.A. in English from Duke University. Jeff Iseman is the Program Analyst for the Pennsylvania Statewide Independent Living Council (PA SILC) since 2007. He is the Chair of National Council of Independent Living (NCIL) Transportation Subcommittee and lead staff support for Pennsylvania Transportation Alliance. Jeff is active with the Pennsylvania Disability Budget Coalition and Keystone Transportation Funding Coalition (KTFC) regarding state and federal issues on various transportation modes that impact people with disabilities of all ages. A life-long Pennsylvanian, Shippensburg University MPA candidate and Grove City College graduate, Iseman relocated to Central PA in 2005 from SW PA after a brief period in SE PA. Prior to joining the PA SILC, he worked as the Public Policy Analyst (Adult Issues) for The Arc of PA, for Congresswoman Melissa Hart, in Human Services and Housing. Carol L. Kilko joined the Department of Community and Economic Development (DCED) in June of 2015. As the Deputy Secretary of Administration, Carol manages the internal administrative operations of the agency and acts as training coordinator for DCED staff professional development. 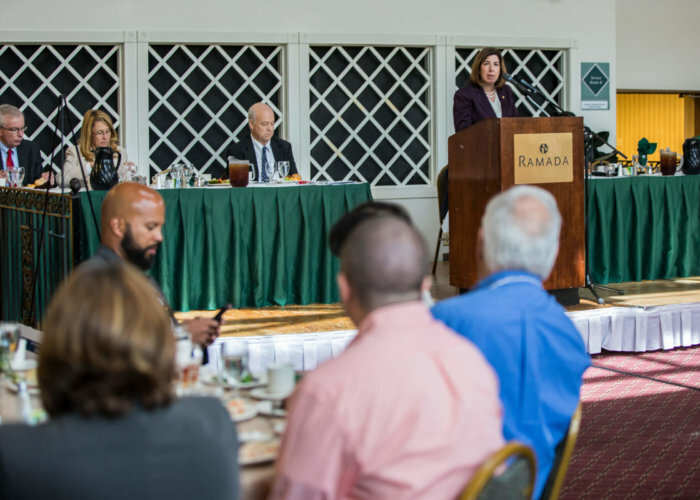 From 2006 to 2015, Carol served as the Director of Training Services for the Pennsylvania State Association of Township Supervisors (PSATS). Carol holds a Master's in Public Administration and a Bachelors of Public Policy from Penn State University. Mark Kopko is the manager of PennDOT's Advance Vehicle Technology program. Mark is currently in charge of all day-to-day operations related to connected and automated vehicles including the deployment of Dedicated Short-Range Communications (DSRC) and the development of the Statewide Connected and Automated Vehicle Strategic Plan. Mark has previously served as a technical advisor for the PennDOT's 2040 Connected and Automated Vehicles Vision and committee member for NCHRP 20-24(98) - Connected and Automated Vehicles Research Roadmap. 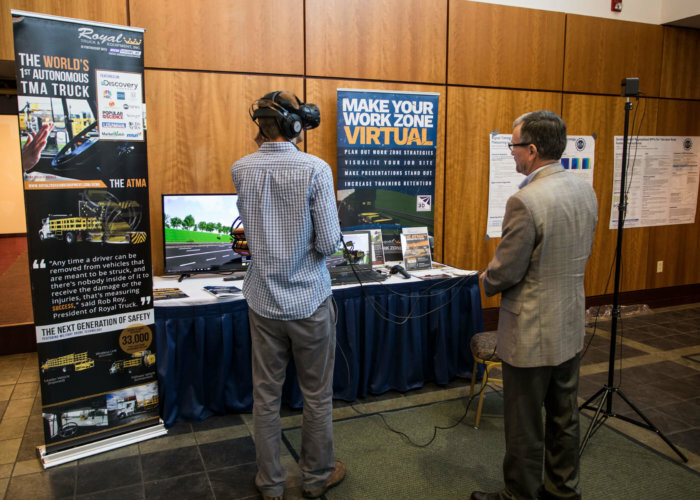 Mark is PennDOT's representative to the Connected Vehicle Pooled Fund, Vehicle-to-Infrastructure Deployment Coalition, AASHTO's Connected/Automated Vehicle Working Group, Smart Belt Coalition, and numerous other groups/committees. Mark is a graduate of The Ohio State University. John Lacek is Department Counsel for the Pennsylvania Insurance Department. In this capacity, Mr. Lacek advises numerous Department program areas with regards to issues involving property and casualty insurance. Mr. Lacek is the Department's subject matter expert in emerging issues such as cybersecurity, unmanned aerial vehicles and autonomous vehicles. Prior to joining the Department Mr. Lacek practiced law at a private insurance regulatory firm where he counseled clients on how emerging technology effect the insurance industry. Mike Lorenz is currently the Executive Vice President responsible for the petroleum supply and trading at Sheetz, a family owned convenience store chain which operates over 550 stores in 6 states. Having worked in the petroleum industry for almost 40 years, Mike has extensive knowledge and experience in refining, domestic and global supply and trading, and wholesale and retail marketing. Before coming to Sheetz, Mike spent over 20 years with Mobil Oil serving in a wide variety of midstream and downstream roles including international assignments in London and Rotterdam. Mike is on the Board of Advisors at the Fuels Institute and is a frequent speaker at industry events. He holds a Bachelor of Science degree in Chemical Engineering from Clarkson University. Paul Mackie has been Communications Director at Mobility Lab since 2012. He specializes in reporting, writing, editing, helping journalists, and speaking about how places can become vibrant through public-transportation initiatives. For the eight years prior to joining Mobility Lab, he was Climate Change Communications Director at The Nature Conservancy and Director of Media Relations at the World Resources Institute. Paul obtained his master's degree in media studies and political science from Georgetown University and his bachelor's in English literature and journalism from Southern Illinois University. Christopher J. Marzzacco is a partner at Anapol Weiss, a Philadelphia personal injury law firm. Christopher earned his law degree in 1996 from Widener University School of Law, and concentrates his practice in automobile, motorcycle, and trucking accidents. He has written about automobile law and automobile insurance issues for the Legal Intelligencer and other publications. Christopher also teaches trial advocacy for Widener University's Intensive Trial Advocacy Program, and has done so since 2001. Staff Sergeant Terence J. McDonnell is a 30-year veteran of the New York State Police assigned in the Traffic Services Section at Headquarters in Albany, where for the past 24 years he has overseen the agency's statewide traffic safety programs and initiatives, including a recently created autonomous vehicle test permit process. He is a member of the Highway Safety Committee of the International Association of Chiefs of Police and a member of the AAMVA Autonomous Vehicles Working Group, where he serves as Chair of the Law Enforcement Subgroup. Alexandra (Allie) Medack is the Chief of Staff for Global Public Policy at General Motors, and is based in their Washington D.C. office. 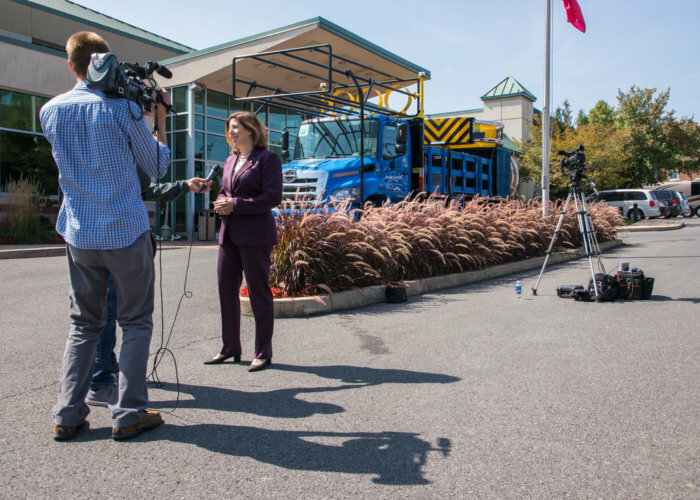 As Chief of Staff, Ms. Medack coordinates GM's government relations and public policy activities around the world, with a focus on autonomous vehicles. As part of GM's emerging technologies team, she leads engagement efforts with regulators, industry leaders and policymakers to advance the next generation of automotive technologies. Prior to joining GM in 2014, Ms. Medack worked on the U.S. House of Representatives Committee on Foreign Affairs and at Public Strategies, a leading business advisory and strategic communications firm. Tony L. Mento has worked for the Federal Highway Administration for more than 29 years. He currently serves as the Director of Technical Services overseeing a staff of experts focused on structures, ITS, safety, and pavement and materials. Before serving as Director, Tony was an Engineering Team Leader, and a Senior Field Engineer. Tony has a Bachelor of Science in Civil Engineering from Syracuse University and a Master's Certificate in Project Management from George Washington University. Tony is a registered Professional Engineer in the state of Pennsylvania. Ngani Ndimbie is a MS Candidate for Public Policy and Management at CMU. She's a Pittsburgh native who is passionate about equitable policymaking, economic justice, and healthy communities. Before joining Traffic 21 as the Women in Transportation Fellow, she held positions at some of Pittsburgh's most influential non-profits including the ACLU of Pennsylvania and the Black Political Empowerment Project. Most recently she served as the communications manager for Bike Pittsburgh, a bike and pedestrian advocacy organization. In 2016, Ngani was a Pittsburgh Magazine 40 Under 40 awardee. Captain Troy H. Park enlisted in the State Police in 1991. He has served in numerous capacities and locations throughout his career and is currently the Assistant Director of the Pennsylvania State Police Bureau of Patrol. Alex Pazuchanics serves as the Assistant Director for Planning, Policy, and Permitting in the Department of Mobility and Infrastructure. 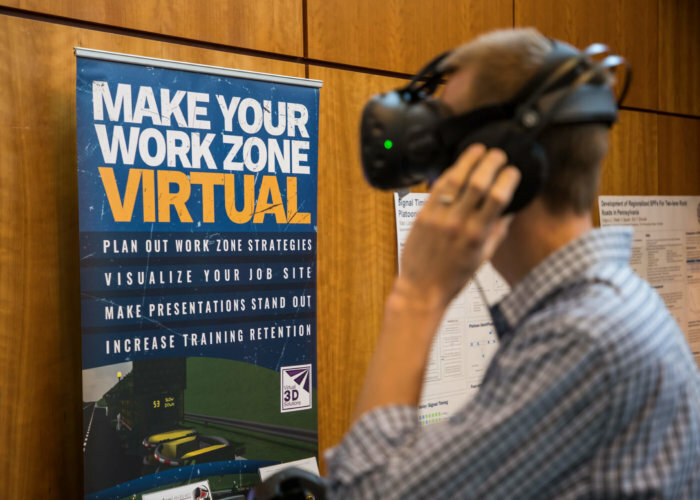 He led Pittsburgh's response to the USDOT Smart City Challenge, which was named one of 7 finalists; manages the City's designation as an Autonomous Vehicle Proving Ground; and is a member of the PennDOT Autonomous Vehicle Policy Task Force. Alex has testified before Congress and presented at South by Southwest on Smart City policy. A graduate of The George Washington University and Carnegie Mellon University, Alex previously served as the Mayor's Policy Advisor, and has worked in the Pennsylvania House of Representatives and Pittsburgh City Council. Damon Porter's state and local public policy expertise grew from his background in both the public and private sectors. Prior to joining Global Automakers, he was a senior adviser to Missouri Gov. Jay Nixon on technology and innovation issues. Previously, Porter was director of public affairs for a Fortune 100 telecommunications company, chief of staff and legislative director for two speakers of the Missouri House of Representatives, an assistant attorney general of Missouri, and an associate for a boutique integrated communications firm. He was chairman of the transition team for Missouri State Treasurer Clint Zweifel and has served on several civic, trade, and philanthropic boards of directors. He is a life member of the Council on Foreign Relations and admitted to bars of Missouri and the Supreme Court of the United States. Chris Puchalsky is a nationally recognized transportation expert with a passion for livable cities. He has Bachelors and Master's degrees in Mechanical Engineering from Temple University, as well as a PhD in Urban Transportation Systems Engineering from the University of Pennsylvania. He currently serves as Director of Policy and Strategic Initiatives at Philadelphia's Office of Transportation and Infrastructure Systems. His professional experience includes three years designing engines for the Ford Motor Company, working as a transportation consultant both in the United States and abroad, teaching and advising as an adjunct at the University of Pennsylvania and the University of Waterloo, and serving the greater Philadelphia region as Director of Transportation Planning at the Delaware Valley Regional Planning Commission (DVRPC). Stacia (Stacey) Ritter is director of Policy & External Affairs for the Pennsylvania Turnpike Commission. 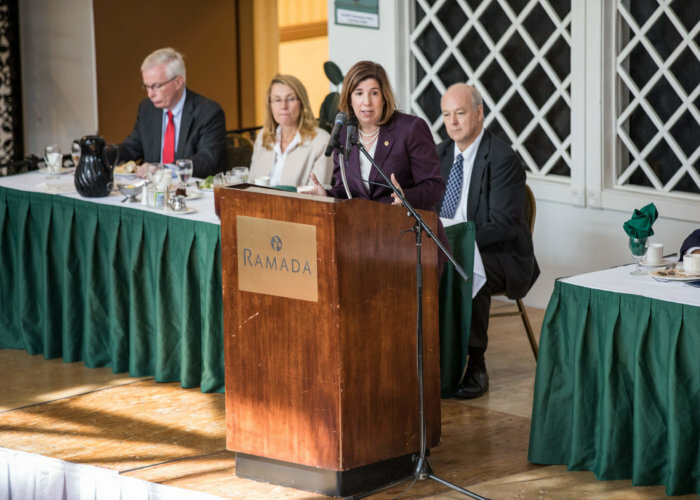 She began her governmental career in the Pennsylvania House of Representatives after graduation from Shippensburg University as a budget analyst for the Democratic Appropriations Committee. After earning her juris doctor degree from Widener School of Law in 2001, she served as legal counsel for the Democratic Committee on Committees. 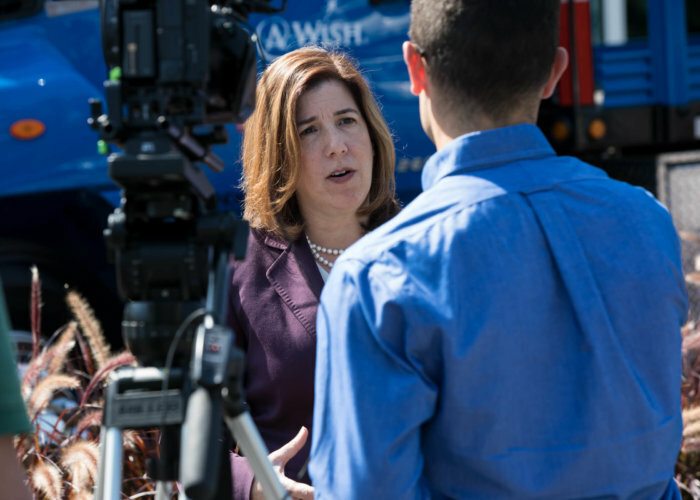 She also served as executive director of the Democratic Intergovernmental Affairs Committee, executive director of the Democratic Commerce Committee, executive director of the Majority Transportation Committee and assistant executive director of the Democratic Appropriations Committee before taking her current position with the Turnpike Commission in September 2011. Megan S. Ryerson, PhD is an Assistant Professor in the Departments of City and Regional Planning and Electrical and Systems Engineering at the University of Pennsylvania. She is the Research Director of the Mobility21 Transportation Research Center, a national University Transportation Center (UTC) and a Senior Fellow at the Center for Injury Research and Prevention at Children's Hospital of Philadelphia. Dr. Ryerson builds models to understand the system effects of transportation and how perturbations to the system – from new technologies like autonomous vehicles to disasters and infrastructure outages – impact traveler choice and mobility, facility congestion, and, more broadly, the local and regional economy and environment. Fred Sargent is founder and president of Great Service Forums, a program—exclusively for union electrical contractors—to provide union electrician service department managers with unique learning experiences tailored specifically to the demands of their role in service and maintenance. Fred is a former CEO of Pittsburgh-based Sargent Electric Company. During his tenure with the company he devoted many years to the Joint Apprenticeship Training Committee serving the 22-county market area covered by IBEW Local Union #5, of which he is a member. For the past several years he has worked closely with the IBEW Education Department on a national scale in the development and promotion of Market-Driven Contracting, it's educational program that prepares and supports union members who have elected to start their own contracting businesses that energetically focus on underserved sectors of the marketplace. 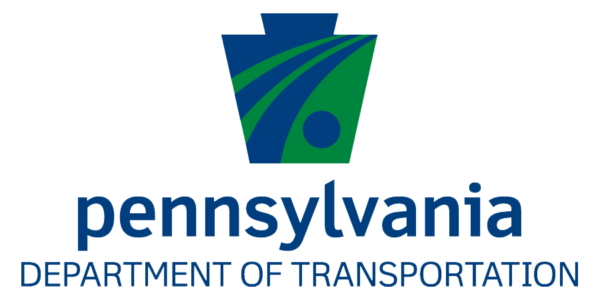 Jason D. Sharp was appointed Acting Chief Counsel for the Pennsylvania Department of Transportation in June of 2017. Prior to his appointment, he was the Executive Deputy Chief Counsel, serving as chief administrator for three regional PennDOT legal offices that provide litigation and legal support services for forty-five counties. Mr. Sharp also acted as counsel on priority projects and litigation matters including service as lead counsel to Pennsylvania's Autonomous Vehicle Task Force. Prior to his appointment as Executive Deputy, Mr. Sharp was a member of the Office's Real Property Division. Mr. Sharp is a graduate of Widener University School of Law and holds a Bachelor of Arts degree in Political Science from King's College. Matt Smith is Michael Baker's Connected and Automated Vehicles (CAV) Program Manager, located in Detroit, MI. He serves as the national lead for CAV projects, initiatives, research, technical consulting and programs. He has 23 years of experience in traffic engineering, intelligent transportation systems (ITS), and transportation system management and operations (TSMO) while spending the last five years dedicated to connected and automated vehicle initiatives. Previously at Michigan DOT, Mr. Smith held the position of statewide Intelligent Transportation Systems Administrator. Frank Snyder is the Secretary-Treasurer of the Pennsylvania AFL-CIO, a 700,000-member organization. He began his career at a titanium factory in Western Pennsylvania, served 18 years as a United Steelworkers of America local union leader, became Special Assistant to the Northeast Region Director of the National AFL-CIO, and in 2007 became the AFL-CIO's Pennsylvania State Director. Frank was elected in 2010 and 2014 to be Secretary-Treasurer on the Pennsylvania AFL-CIO where he continues to serve today. 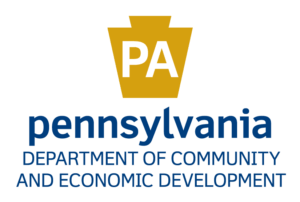 Rick Vilello joined the Pennsylvania Department of Community and Economic Development in March of 2015, as the Executive Director of the Center for Local Government Services. In this capacity, Rick also directed the efforts of the Tax Equalization Division and the Resources Recovery Team. Before coming to DCED, Rick served four terms as Mayor of Lock Haven and was previously the President of Pennsylvania Municipal League. As Deputy Secretary, Rick oversees the work of the entire deputate including the Centers for Community Development, Community Services, and Compliance Monitoring and Training. Michael Wagner is the CEO of Edge Case Research, a company he co-founded to help make autonomous vehicles and other complex software-based systems safer and more robust. Mr. Wagner has almost twenty years of relevant experience in this field, developing safety architectures and verification tools for cutting-edge unmanned vehicles at Carnegie Mellon's National Robotics Engineering Center. Earlier in his career he built robots that operated the most extreme environments on Earth, including a meteorite-hunting robot in Antarctica, a solar-powered Arctic explorer, and a robot that searched for life in the barren Atacama Desert. David Woessner currently serves as the first General Manager of Local Motors in Washington DC. After launching an award-winning facility along with the world's first self-driving, cognitive, low-speed, electric shuttle, Olli, in 2016, he is now responsible for operations of the sales, demonstration, and service facility in National Harbor, MD. His primary focus is working with local stakeholders and partners to demonstrate, pilot, and sell self-driving Ollis in the Washington DC region and beyond. David earned his MBA and MS in Mechanical Engineering from Georgia Institute of Technology and received his BA in Physics and German from Wabash College in Crawfordsville, Indiana. Skip Yeakel has 54+ years in trucking and is a registered Professional (Penn State) Engineer with 33 years for Volvo Group North America where he serves as Principal Engineer. Skip has chaired the Philadelphia SAE Section, Truck Manufacturers Association, and Technology & Engineering Policy Committee of the American Trucking Associations. He spearheaded Volvo efforts for the USDOT Intelligent Vehicle Initiative, NTRCI Trusted Truck® Program, I-95 Corridor Coalition, and similar projects. He currently serves on the Executive Committees of the USDOT Transportation Safety Advancement Group and the USDOE 21st Century Truck Partnership for which he received a “lifetime achievement” award in 2014.